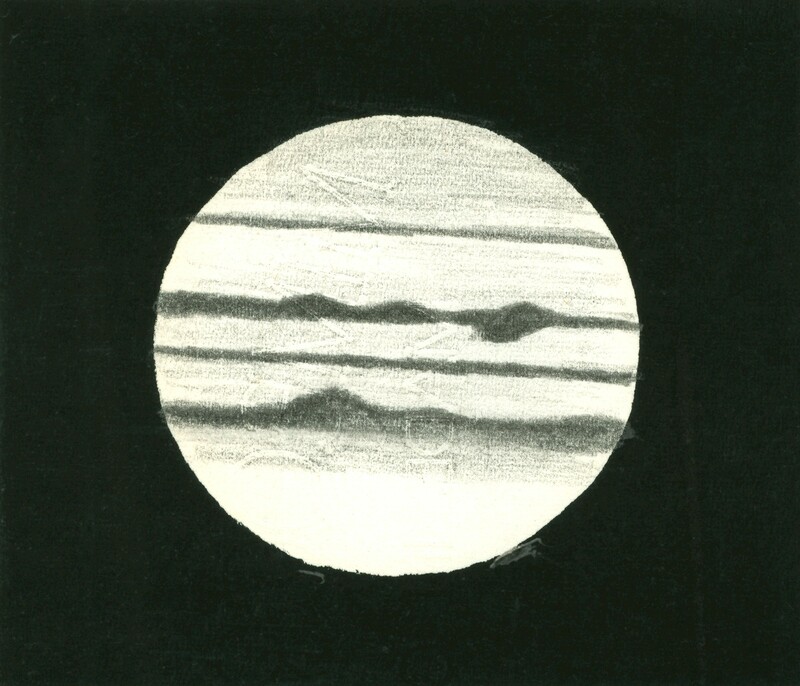 Jupiter on 1960 April 29/30 at 04:15 EDT (08:15 UT) as sketched by G. Wedge. C.M. (1) 0º, C.M. (2) 17º. 6.5" refractor at 133x. Seeing 3-4 (poor-fair). Transparency 2.